Strategically formed in 2015, PROVEO is a three-company collaboration providing complete and efficient solutions to the market for the process development and manufacture of antibody drug conjugates (ADCs). 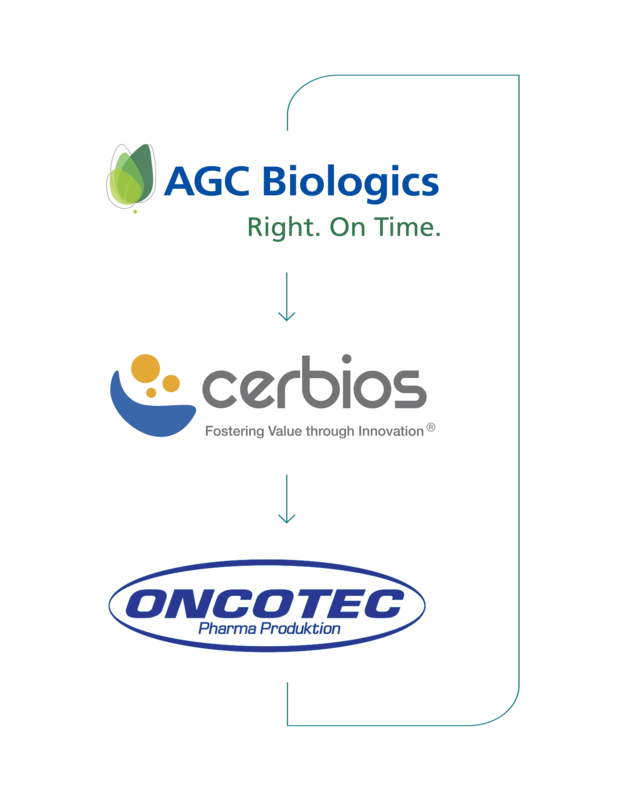 Through this collaboration, AGC Biologics provides monoclonal antibody production, and Cerbios performs process development, manufacture of the cytotoxic drug-linker payload, and the conjugation services of the ADC drug substance. Oncotec provides aseptic fill and lyophilization of the ADC drug product, supply chain, and secondary packaging through to ready-to-deliver final drug product. This global collaboration reaches from Seattle, Washington, to Copenhagen, Denmark to Lugano, Switzerland.